Have you ever wanted a sweet, doughy treat that's not a "moment on the lips, forever on the hips?" Then you should definitely try this recipe! This delicious treat is chock full of vitamins and minerals as well as healthy carbs to satisfy your cravings and leave you feeling good about yourself. 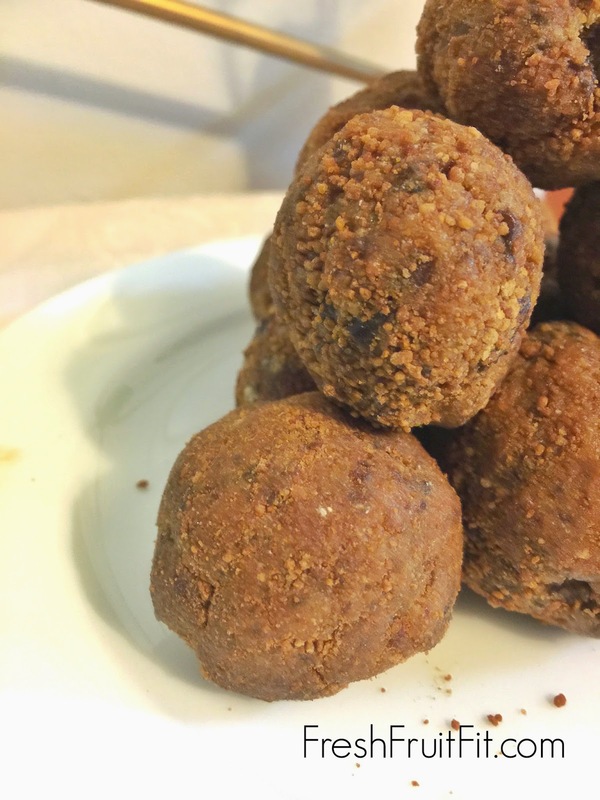 This donut hole recipe is such a treat! It's perfect for parties, a snack, or even breakfast! Even my hubby who is not usually a fan of super sweet treats found these to be delicious and satisfying. I think it's the coconut flour. Just adding a little makes a huge difference. Try this recipe, and you'll see what I mean. Coconut flour gives it a deeper, richer flavor and a slightly fluffier texture. 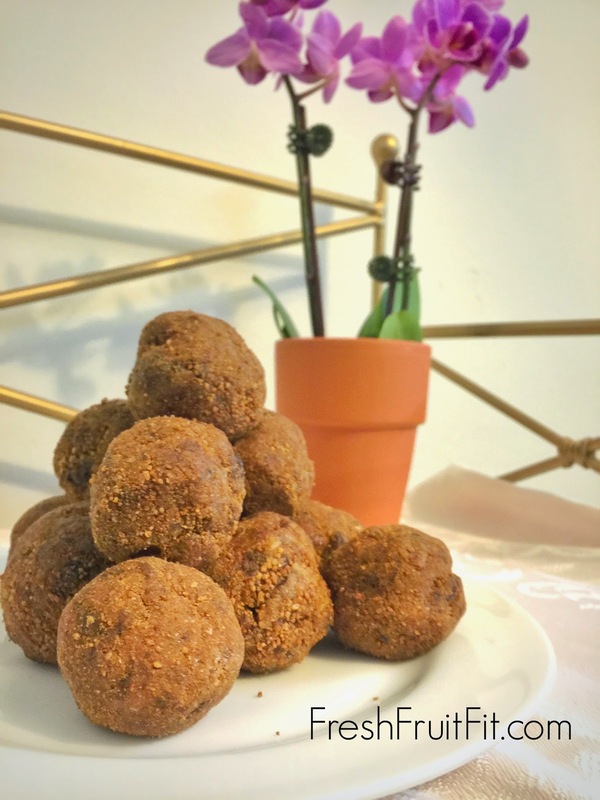 Perfect for raw vegan donut holes! 1/4 c. packed raisins, opt. 1/8 t vanilla powder, opt. Place pitted Medjool dates and raisins in food processor, then add coconut flour, 1 T coconut sugar, 1/4 t cinnamon, allspice, and vanilla. Pulse till it all forms into a big lump of doughy goodness. Mix 3 T coconut sugar and 1 t cinnamon in small bowl. Scoop out date mixture and roll in hands to form a donut hole. * Roll donut hole in cinnamon sugar mixture to evenly coat. For firmer donut holes, cover and place in fridge for 30 minutes. Enjoy! *Tip: Wet hands with water to keep the date dough from sticking too much. Don't miss out! Subscribe to stay up-to-date with Fresh Fruit Fit!